In last year’s Rumpus Review of The Force Awakens, I had the naiveté to claim that J.J. Abrams and company had tried to distance the First Order from calling to mind contemporary American politics by embracing aesthetics that pointed specifically back to Nazi Germany. The scene in which General Hux addresses a massive rally of soldiers, I wrote, recalls Leni Riefenstahl’s 1938 Olympia in a way that lodges the regime in the past instead of the present. America responded over the course of the following year by assuring the world that depictions of authoritarian bravado are still timely, handing over a surveillance state and a fleet of flying death robots to a high-decibel billionaire who sits on a golden throne in a tower with his name on it. Where the comparisons fail, however, is the scary part. While 2016’s Rogue One furthers the recent installments’ complication of the good/evil dichotomy, we’re still only privy to military and political personnel associated with the Empire. What continues to be absent are any depictions of normal citizens who express support of the Empire, a choice that removes populist ideology from the picture and leaves us with something very different from what just happened in America. It’s no fun deciding which alternative is more disquieting: an authoritarian regime that rules purely by power, or one that we as citizens have chosen to democratically install. Despite the real-world resonances of the franchise, the nuances of ideology in relation to the general populace is one thing that Star Wars has never been that interested in exploring. One reason for this might be the status of religion in the Star Wars galaxy versus that of our own. The Force may or may not be pluralistic with local planetary religions—we don’t really know—but what the movies do show us is that this religion-ish power holds ultimate sway over military and political might. We are also not sure how pervasive belief in the Force is throughout the galaxy, but by Episode IV at least it seems to be represented as an antiquated worldview. One thing that is clear to us: the Force causes big supernatural things—miracles—to happen. Because of the two sides of the Force, and despite complications raised in particular by the two most recent installments, the Star Wars galaxy is pretty simply divided into good versus evil. Even our crisis-of-faith characters, Anakin Skywalker and Kylo Ren, face a one-dimensional conflict in which weird levels of coincidence (for Anakin) and ambiguity (for Kylo) are arranged by the plot in order to make their turn to the Dark Side seem plausible. Characters might waver, but we as viewers have seen the Force at work, and thus are able to sit in judgment like gods on Olympus. Things ain’t so easy on Planet Earth. The 2016 election and the holiday season, among many other examples, have shown us that our situation is quite different. Our religions are far less secretive than the Force, their miracles less verifiable. While religion is certainly pulling the strings of certain politicians and entire governments around the globe, religiosity is also marshaled as an ideological tool for veiled corporate and military interests. The Star Wars franchise further removes itself from examining populist ideology via two specific plot points: 1) the fact that the stormtroopers are clones in Episodes II and III, and are at the very least “programmed” in future installments, and 2) George Lucas’s soul-crushing decision to invent midi-chlorians for Episode I, those microscopic organisms that make us attuned with the Force. (That the midi-chlorians reside in all living things has an egalitarian vibe to it; that a propensity for high midi-chlorian counts are passed along genetically does not.) 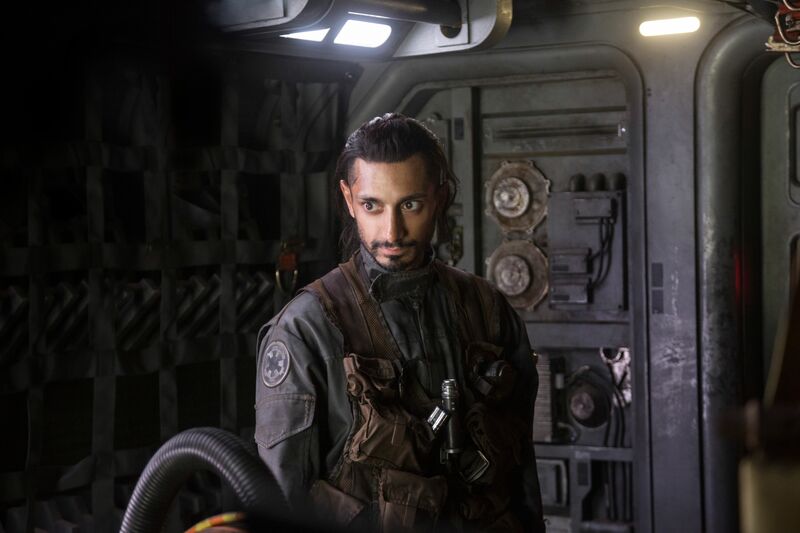 Finn’s defection in Episode VII nicely complicated the first of these points, initiating a trend to de-reify the Dark Side’s soldiers that was retro-echoed in Rogue One’s Bodhi Rook (Riz Ahmed), a turncoat Imperial pilot. As far as the midi-chlorians—Lucas’s attempt to turn ideology into biology, and, even worse, faith into bloodlines—the female Jedi masters in the prequels and Rey’s affinity for the Force in Episode VII have already undone some of the original trilogy’s damage in making the Force appear to be the exclusive domain of a celibate, male, religious order. (Am I the only person who thinks that finding out Rey’s genealogy in Episode VIII would be a retrogression that’s much less interesting than finding out she’s an anomalous, kickass outsider?) Rogue One goes way further. 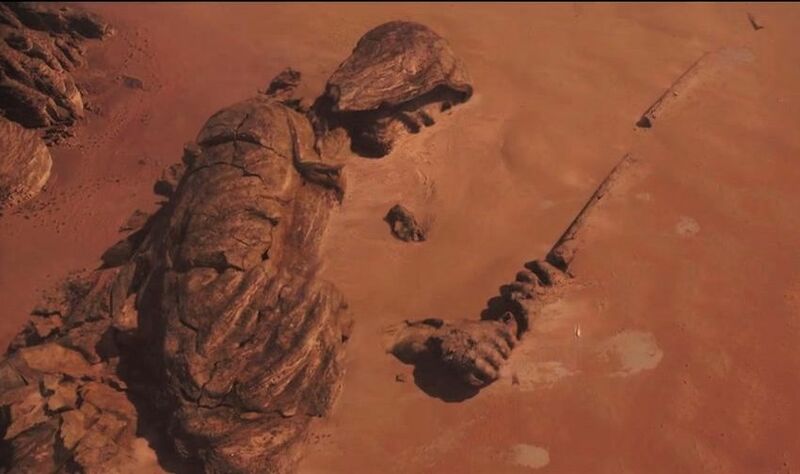 Not only does it show that non-Skywalkers and non-Jedi in the galaxy are saying, “May the Force be with you” and even using the Force, but also that all of this is going on while Luke is kicking rocks around the moisture farm waiting for destiny to jettison an escape pod in his direction. Chirrut Îmwe (Donnie Yen), for example, a rogue monk who’s so strong with the Force that he doesn’t require a lightsaber or the ability to see, is seemingly a Jedi who was operating outside the established Jedi order during the prequels. These moves are an aggressive, calculated, and beautiful challenge to the previous films’ hierarchized and privileged view of the Force, an accessibility that is more consistent with the original spirit of the Force as philosophized by a shrimpy green Jedi in exile on a swamp planet. It is also a representation reinforced by Rogue One’s casting, which is even more diverse than that of The Force Awakens. In my review of that film I jabbed a bit at how they used diversity as a publicity stunt, the notion that here was finally a powerful female figure in the Star Wars galaxy; in this review, I’m happy to applaud that gimmick’s great payoff: the normalizing of powerful female figures in the character of Jyn (Felicity Jones), the heart and fists of Rogue One. This gesture toward egalitarianism is reinforced on a narrative level by an even bigger act of de-reification. In Rogue One, we learn that it wasn’t the Force’s intervention or Luke’s royal blood or his practice bullseye-ing wamprats back home that was primarily responsible for the destruction of the Death Star—but rather the difficult decisions and ultimate sacrifices made by a family and by a number of soldiers who remained uncelebrated and anonymous through four subsequent films. One could joke that Rogue One was simply made to fix a plot hole that has been looming over the franchise for almost forty years: namely, why the hell would they go to the trouble of building a planet-destroying planet and then make it so easy to destroy? Now we know. One might even anticipate an epic Star Wars Story that explains how Han Solo changed shirts while being frozen in carbonite. Yes, now we know that a weapons designer with a heart of gold, Galen Erso (Mads Mikkelson), designed the design flaw. Two particular lines from Episode IV really explode in retrospect: Han Solo’s “Great shot, kid, that was one in a million,” and Obi Wan’s “In my experience, there’s no such thing as luck.” The widespread extermination of most of Rogue One’s characters was not merely a logistical necessity to explain their non-attendance in Episode IV; it also dramatized the larger-picture heroism that put snot-nosed Skywalker in the position where he was able to take that one-in-a-million shot. Up to the final sequence that leads to the blockade runner’s interception by Vader’s Star Destroyer in Episode IV, Rogue One fictionalizes the very type of historical revisionism that we desperately need these days—when slaves are being referred to as “workers from Africa” in school textbooks and presidents get away with denying the very words we have video of them speaking. What Rogue One does do, particularly in the clashes between stormtroopers and Rebel extremists in the streets of Jedha, is zoom in to display the ground-level police state tactics that support the man on the throne. Taking place on a desert moon where masked freedom fighters/terrorists resort to guerrilla tactics to disrupt Imperial trade logistics and protect a religious shrine, the Jedha conflict supports the comparisons to American policies in the Middle East that have been available since Episode IV. I say less beneficial rather than not beneficial—if we start to see unsavory aspects of the Rebellion, we as viewers can at least imagine how the Empire might be able to gain popular support. Since the Rebellion, like “democracy,” has proven assimilable to even the most imperial and undemocratic ways of thinking, any troubling of the franchise’s two-party binary is doing some kind of productive work in a world that increasingly eschews such complications. Rogue One has also, maybe just as a matter of course, soothed my primary dissatisfaction with The Force Awakens. Like a million other jackasses, I noticed that Episode VII’s plot was pretty much identical to that of A New Hope with a few aspects of Empire grafted onto it. My argument about Episode VII has not changed: Episode VII does not exist. However, even at the time I was discouraged about the nonexistence of this installment in a great franchise, I told myself that, if future Star Wars movies did not make the same mistake—if they instead branched out and explored unfamiliar plot points and character types—then it would be kind of okay that the sole purpose of The Force Awakens was bringing Star Wars back to life. With Rogue One, we begin to see that reinvigoration paying off. I guess a part of me still hangs on to the idea of some essential purity associated with the original trilogy. But, once the fiasco of Episode I ruined all preciousness forever—even before that, once Greedo was made to have shot first in the 1997 Special Edition of A New Hope—now everything is permitted. Same with Indiana Jones. In the post-Lord of the Rings world in which every fantasy or superhero film has to end with the most epic battle ever, it’s easy to forget that Lucas’s masterpieces were inspired by serials like Flash Gordon. Although only Empire Strikes Back really succeeds as a cliffhanger, and even though Rogue One finishes with arguably an even more climactic melee than the destruction of the first Death Star, my hope is that just the proliferation of new Star Wars films will remind us that installments can just be installments, exploring the universe instead of saving it every single time.